"People wearing hoods are burning tires on the Francisco Fajardo highway", the source said. Photographs seen by Sputnik feature a group of unidentified individuals blocking the movement on the highway after the march, which took place there on Saturday. 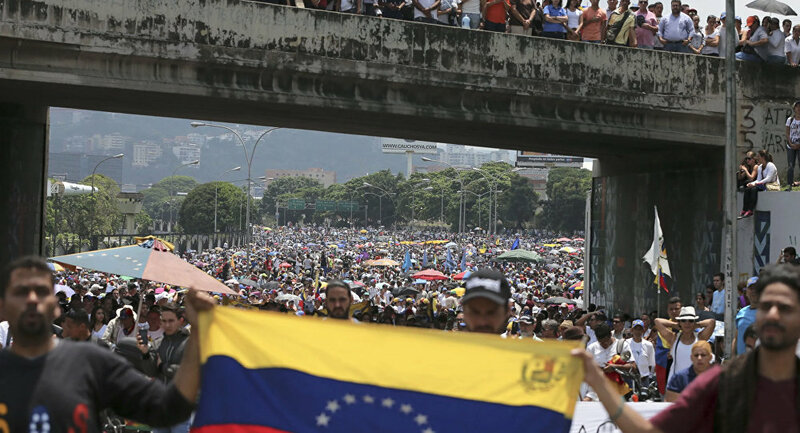 On Saturday, both Guaido's supporters and those backing President Nicolas Maduro took to the streets amid escalating political crisis in the country. — Érika Ortega Sanoja (@ErikaOSanoja) 2 февраля 2019 г. On 23 January, Guaido, the speaker of the opposition-led National Assembly, proclaimed himself the country’s interim president. Maduro has repeatedly blamed Washington for being behind a state coup in Venezuela. Russia, along with Mexico, Uruguay, China, Iran and Turkey and other states were among the countries that have voiced their support for Maduro as the only legitimate leader. — CNW (@ConflictsW) 2 февраля 2019 г. Thousands of people reportedly took to the streets on Saturday in several states of Venezuela to support Venezuelan opposition leader Juan Guaido. Guaido has called on local residents to stand up for human rights, holding of presidential elections in the country and opening of a channel for humanitarian aid. 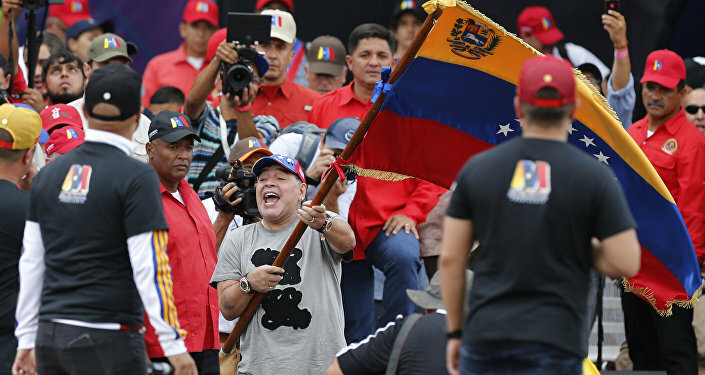 Earlier in the day, Venezuelan Constituent Assembly President Diosdado Cabello announced the beginning of a march of constitutionally elected Venezuelan President Nicolas Maduro's supporters. Similarly, Venezuelan Foreign Minister Jorge Arreaza called on Saturday on his compatriots living in Caracas to take to the streets and defend their homeland and the country's independence. Venezuela is currently facing a political crisis with opposition leader Guaido having declared himself the country’s interim president in a bid to ouster Maduro. Moreover, the United States, which has supported Guaido, has seized millions of worth of assets of Venezuela's state-owned oil and gas company PDVSA. In response, Maduro called Guaido a "US puppet", accusing the Trump administration of plotting to overthrow him.